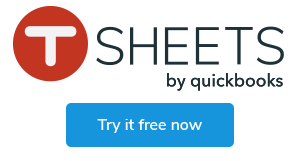 Riley Zahm has been a TSheets employee since 2013, and since then, he’s made a big impression. At TSheets’ Boise headquarters, he’s known for the Friday high-fives he gives to every person at the company — all 400 of us. He knows TSheets’ metrics by heart and shows up to nearly all our We Care & Give Back volunteer opportunities. And most recently, he’s achieved some monumental weight-loss goals. Twelve months ago, Riley weighed 438 pounds and was in a physical and mental state of discontent — feelings even the most confident among us experience from time to time. We don’t like how we look. We don’t want others to judge us for how we look. And we want to look and feel a certain way. It’s why eating better and exercising more are consistent New Year’s resolution chart-toppers, and gyms depend on January sign-ups to carry them through a year’s worth of business. This desire to get healthy — whatever “healthy” means to each of us uniquely — resonates with our mission at Intuit: to power prosperity around the world. We believe prosperity doesn’t always mean financial happiness but simply living the life you want. That’s why a year after Riley started his get-healthy journey, we sat down with him to talk about his experience. Half of Planet Fitness’s 6,000 Manhattan members never end up going to the gym. More than 80 percent of people with obesity who lose weight gain it back. And today, according to Time magazine, the weight-loss industry is worth $66.3 billion. Let’s be real: Losing weight is hard. It’s a mental and physical battle. And nobody knows that better than Riley. But making that commitment, for most of us, isn’t as easy as flipping a switch. For Riley, it would take a pretty massive wake-up call, part of which took place around last Christmas. He was sleeping over at his parents’ house when he woke up and realized he was sore all over. Two months later, that wake-up call came again. At the time, he was already “sort of on the bandwagon” when he began to experience bad chest pain. So he went to the doctor. Luckily, it was around that time that Intuit offered Riley something of a lifeline, a program called Retrofit. The program offers a nutritional coach who Riley says didn’t judge his decisions but helped him restructure his eating habits and form a few new ones over time. For the last year, he’s been following their advice. Riley always knew he wanted to lose 200 pounds. He hopes that someday, with weight-loss and exercise, he might look like Khal Drogo from “Game of Thrones.” But while everyone has those big goals, he says it’s important to set and celebrate the small victories along the way. 2. Write down what you eat. “When you write down what you eat, you kind of visualize what you’re actually consuming,” Riley says. For him, recording what he ate was an important part of limiting the snacking he’d do while he was bored. 3. Space out what you eat. For many of us, it’s not just a problem of how much we eat. It’s when we eat it. There’s plenty of science around this, including benefits for your metabolism, blood sugar levels, and even productivity. Once Riley was recording the foods he ate, it became clear he wasn’t eating anything for the first two-thirds of the day. His coach pointed out that going home hungry led to lots of snacking at night before bed and challenged him not to limit his intake but to simply spread it out. 4. Throw in some green stuff. 5. Do what you can stick with. Too often, people make the mistake of approaching a new diet like a temporary fix. They cut out sugar or bread, thinking “once I lose the weight, I’ll be able to have these again.” But unrealistic promises don’t work. 7. Slow down and taste your food. As the youngest of three boys, Riley says he grew up eating quickly so he wouldn’t miss out on seconds. Once he started eating the right foods, the next step was to slow down and take the time to taste what he was eating. 8. Do it for yourself. This might be the most challenging because as much as getting healthy is a personal choice, we tend to put more emphasis on others’ opinions. Maybe we do it for a loved one or love interest, for a family member, or for some other cause. But in the end, getting healthy has to be a decision you make for yourself. They say the first step is the hardest. Try the first 40,000 … all in one day. Riley, like many of us at TSheets, logs his steps on the fitness hub Virgin Pulse, and those results feed into all of Intuit, so employees can see who’s tracked the most steps out of all 8,000 employees, globally. Today, Riley averages 20,000-30,000 steps a day, 156,898 steps a week, and has a personal best of 46,692 steps in a day. Riley’s shed 227 pounds. He’s brought his blood pressure down from 158/90 to a much healthier 120/78, and his resting heart rate is now half of what it was one year ago. By all accounts, he’s achieved something incredible. But ask him where he’s going from here, and he’ll tell you the war’s not yet won. Riley says this feeling is something he felt for so long, the weight of those thoughts sticks with him today, even if, physically, he’s gone through significant change. You might be wondering what Riley’s story is doing on a time tracking blog. But we’re just covering charted territory. You might say it’s relevant because Riley was against the clock to achieve his goals (a little time tracking humor there, folks). Or maybe it’s that our mantra here is “We <3 employees” and we felt this was a subject many employees might relate to. But the truth is, we wanted to share because we’re proud — proud to work at a company that empowers employees to live the life they want, proud of our managers, all the way up to the top, who’ve supported Riley since 2013, and proud of the man himself who’s inspired all of us to rethink our journeys. “What’s really weird now is people come up to me and ask, ‘Hey, how did you do it?’ ‘What can I do?’ ‘What are some tips you have?’ I’m like, ‘Why are you asking me?’ Because in my mind, I’m still the big guy, but I’m not anymore, because I did it,” Riley says.